US President Donald Trump has announced that his administration will not certify Iran’s compliance with the nuclear agreement and deferred it to Congress to establish new conditions on the deal. He also announced new US sanctions against Tehran. “I am announcing today that we cannot and will not make this certification,” Trump stated Friday. “Iran committed multiple violations of the agreement,” the president said, despite the International Atomic Energy Agency’s confirmation that Tehran is in compliance with the deal. He said he expects Congress to come up with legislation that will amend the nuclear deal and “strengthen enforcement,” as well as include Iran’s ballistic missile program, and remove the ‘sunset clauses’ in the agreement. Additionally, Trump announced “tough” sanctions against Iran that are unrelated to the nuclear deal. They target the Islamic Revolutionary Guards Corps, which is part of the Iranian armed forces. Trump has accused the Guards of supporting terrorism. Shortly after the announcement, the US Treasury “designated the IRGC under Terrorism Authority,” which would allow the US to impose sanctions on the Guards while stopping short of officially declaring them terrorists. “We are designating the IRGC for providing support to the IRGC-QF, the key Iranian entity enabling Syrian President Bashar al-Assad’s relentless campaign of brutal violence against his own people, as well as the lethal activities of Hizballah [Hezbollah], Hamas, and other terrorist groups,” Treasury Secretary Steven Mnuchin said Friday. Trump wants a “more confrontational” approach to Iran, US Secretary of State Rex Tillerson said Friday. While the US will remain party to the internationally negotiated pact, the decision to decertify Iran’s compliance opens up avenues for Congress and Treasury to impose new US sanctions on Tehran not related to the nuclear program. He is not likely to receive much support from the minority Democrats, however. House Minority Leader Nancy Pelosi called Trump's decision "inexcusable." Not certifying the agreement would be a "a spectacularly dangerous and reckless decision" endangering America's national security, Pelosi said earlier this week. The US cannot evade its responsibilities under the 2015 nuclear pact, said Iran’s Foreign Ministry spokesman Bahram Qasemi, as quoted by Iranian media ahead of Trump’s announcement. However, he added that Iran will continue to expand its defensive power, including its ballistic missile program, which is not part of the agreement. "Iran will strongly respond to any action against its military forces, including the Revolutionary Guards Corps," Qasemi said, according to Iranian media quoted by Reuters. Iran will offer a “tougher response” if the US breaks the nuclear deal, Fars news agency quoted Iranian Foreign Minister Mohammad Javad Zarif as saying on Monday. Tehran “will never renegotiate” the deal, Zarif said. The decision comes less than two weeks after top US military officials told Congress that Iran was complying with the 2015 nuclear agreement, negotiated to make sure Iran does not build nuclear weapons. US Defense Secretary James Mattis testified on October 3 that the US should stay with the Joint Comprehensive Plan of Action (JCPOA), which is the official name of the agreement. The five other powers that negotiated the agreement alongside the Obama administration - Russia, France, Germany, China, and the United Kingdom - have all said the deal will stand even if the US pulls out, because Iran has been in compliance with its terms. 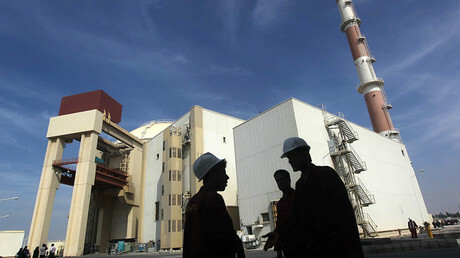 Tehran’s compliance was recently confirmed by the International Atomic Energy Agency (IAEA), the main nuclear watchdog. The Iran nuclear deal is not a “bilateral agreement,” and it cannot be terminated by any single country, EU Foreign Policy Chief Federica Mogherini said in response to Donald Trump’s announcement that he is not certifying the deal. In accordance with a mechanism set up by the US Congress, the nuclear agreement has to be re-assessed by an American president every 90 days. Upon the president’s decision to de-certify it, Congress then has two months to decide whether to re-impose the nuclear-related sanctions against Iran that were lifted under the deal. Under the terms of the deal, in exchange for lifting the sanctions, Tehran agreed to reduce the number of its uranium enrichment centrifuges by two-thirds, cap its enrichment below the level needed for weapons-grade material, reduce its enriched uranium stockpile by 98 percent from around 10,000kg for 15 years, and allow international inspections.